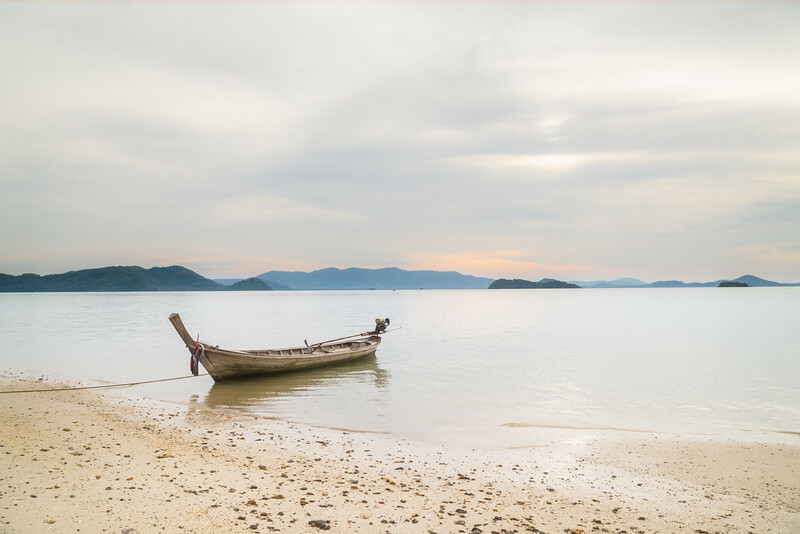 Welcome to my gallery of landscape and travel photos from Thailand. Keep your memories of this amazing place by having a print of your favourite location. You can order a print by clicking the green Buy Now button below each image. If you can't find the size you want, just contact me and I'll be happy to arrange it for you. Thanks for looking. Thailand at it's most stunning. Stepping outside of a tent on a floating platform in the middle of a lake, is definitely an experience you can't forget. I made sure to be up early to capture the first light on the mountain and to simply enjoy one of the most incredible sights of untouched landscape I've seen. Getting up close to an elephant is a memory I wont forget, but she's seen it all before. 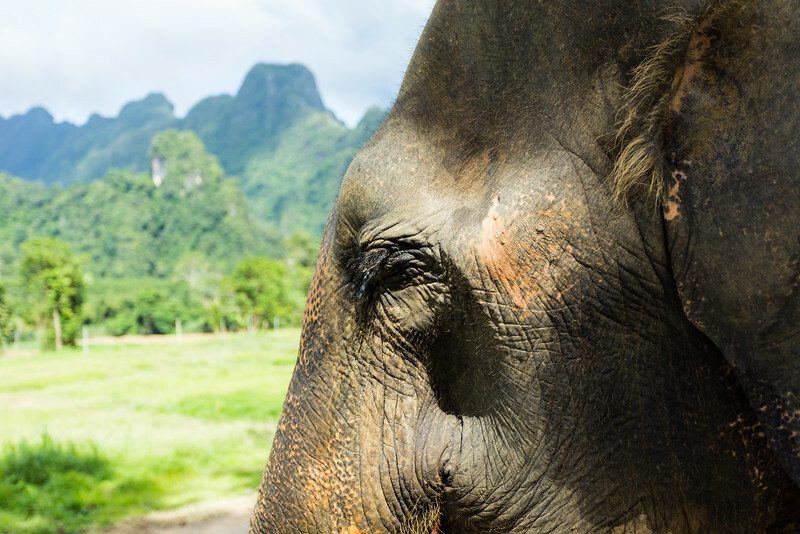 In her 70's and slowly enjoying her twilight years in the natural beauty of Thailand's Khao Sok National Park. 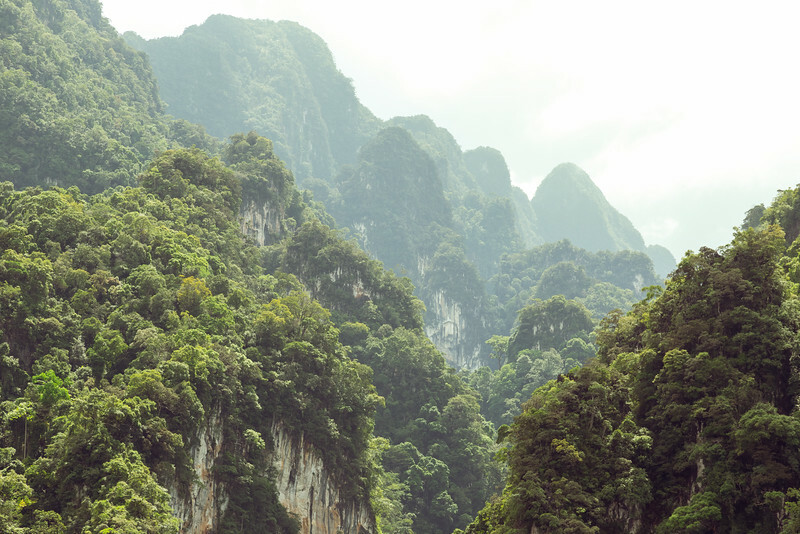 Dramatic limestone cliffs and peaks covered in jungle vegetation. 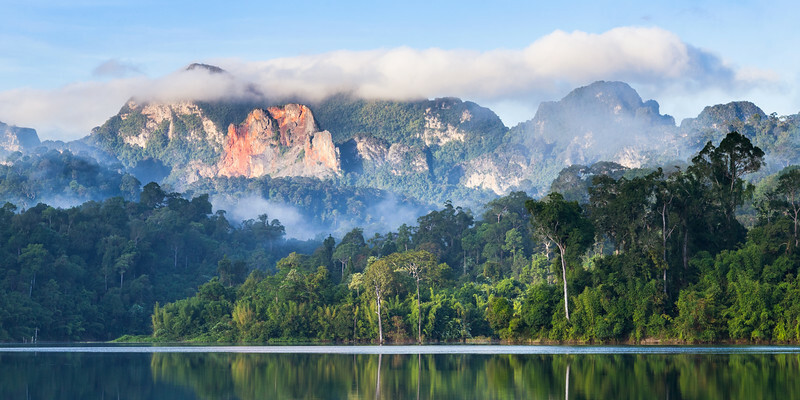 The raw beauty of Khao Sok National Park. 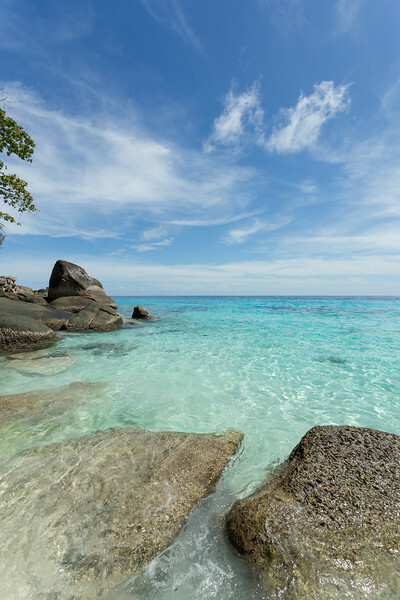 If you cope with the seasick-making journey over to the Similan Islands you're rewarded with an almost fictional white sand beaches and warm turquoise waters. A gentle evening featuring a symbol of Thailand and south east asia. 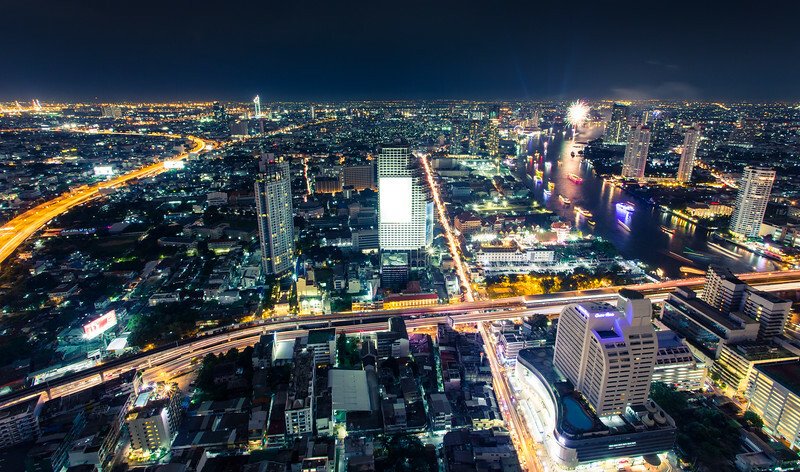 The endless lights of Bangkok at night. I was lucky to be up high on the festival of Loy Krathong (Festival of Lights). Colourful boats lined the river and fireworks were going off all around the city. 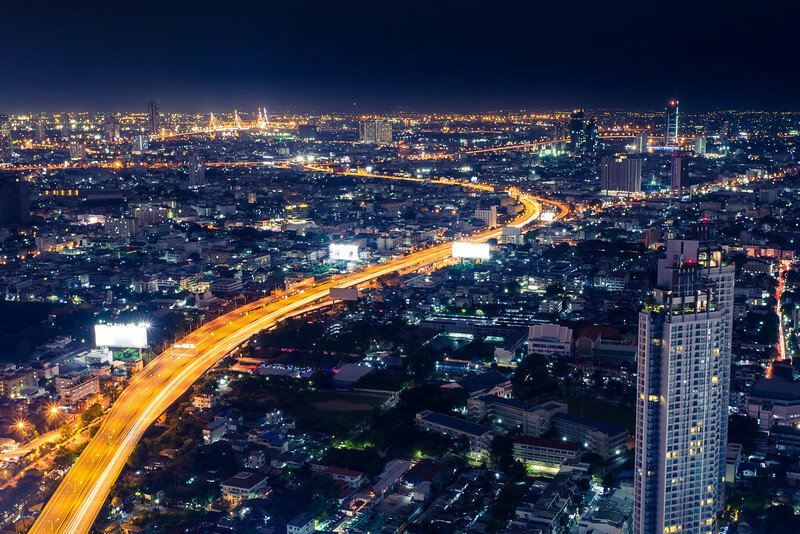 Sweeping arteries of light as the hustle and bustle of the city never sleeps. 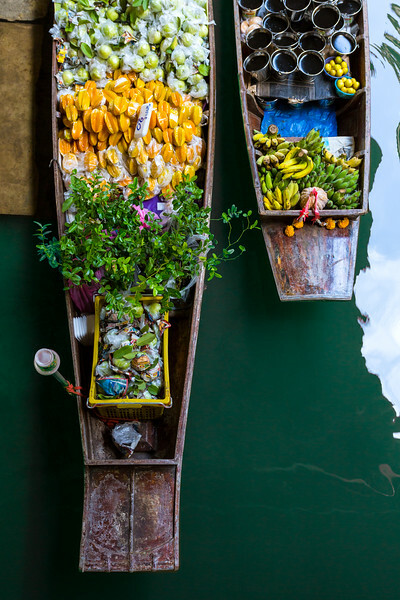 About an hour from Bangkok and you can find a floating village with a traditional floating market selling fruits and produce. Most of it now centred around tourism, but if you know where to look you can still find the older generation of women gently paddling through the flooded streets selling fruits to the locals. 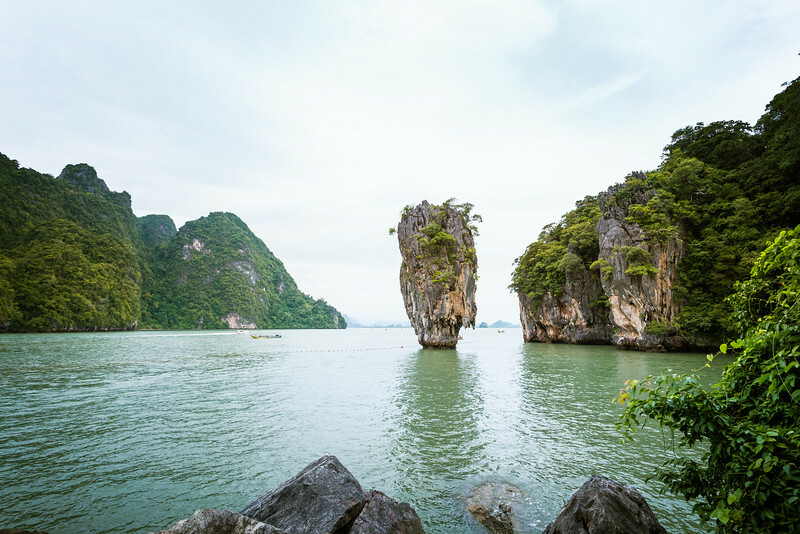 Rising cliffs of limestone from a lake in Khao Sok national park. Stormy weather brings lightning. 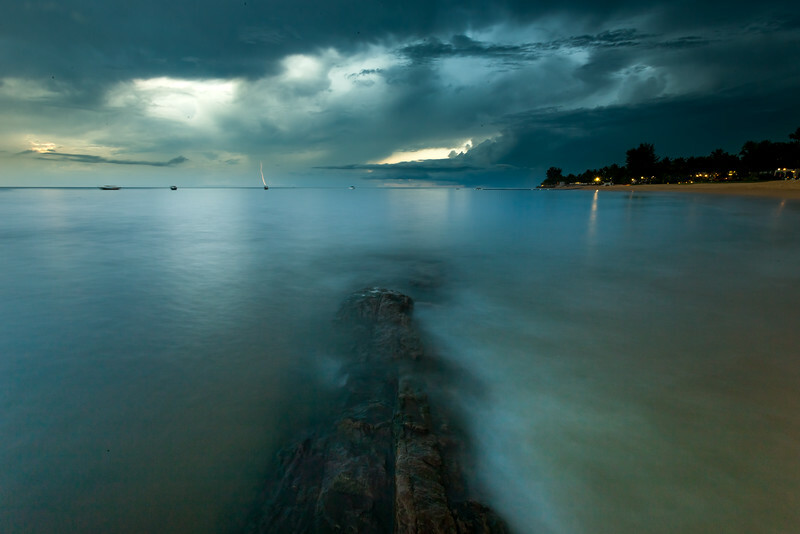 As I was slowly being marooned by the sea I finally captured a strike in the distance. 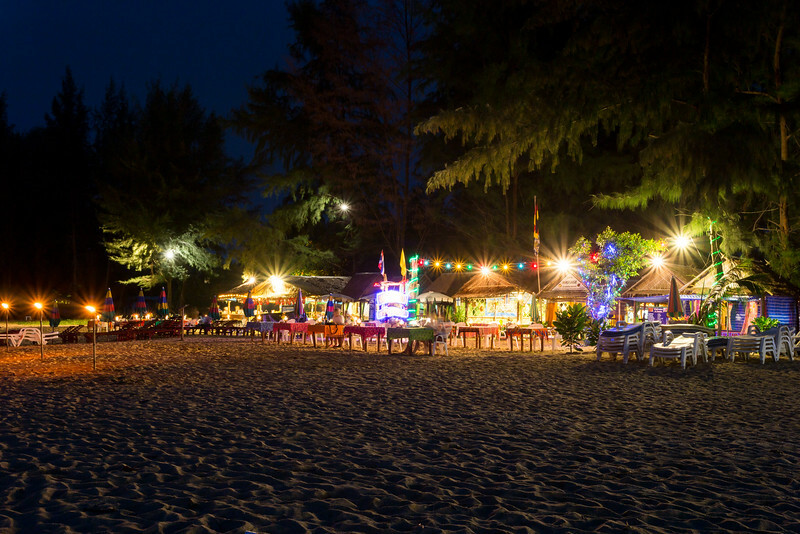 A stroll along many of Thailand's beaches reveals a host of colourful beach bars. A perfect spot to enjoy a chang beer! I felt as though I'd swum straight into a Disney movie when I saw this guy. 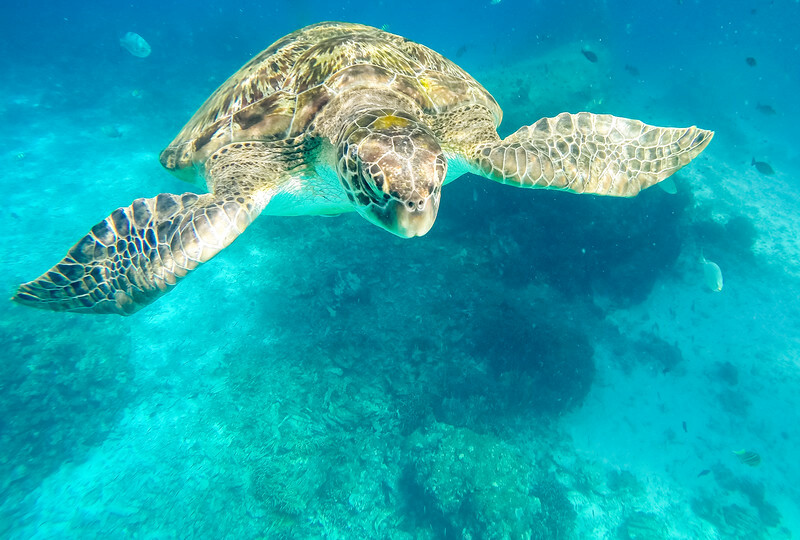 Ancient and graceful flying through the water. A very popular tourist attraction, this scene featured in 'The Man with the Golden Gun'. 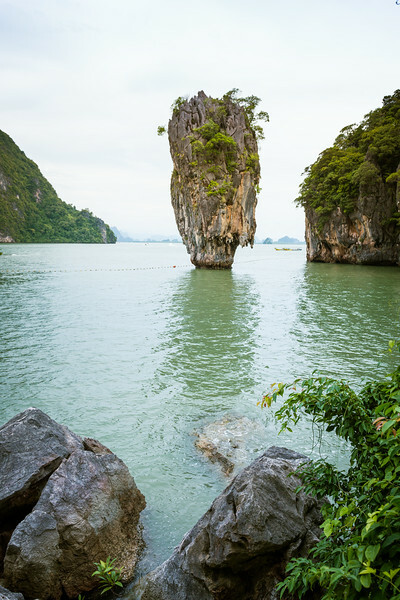 This iconic 20m high islet is called Ko Tapu.